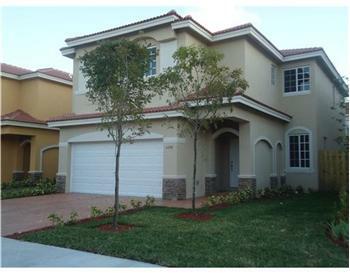 Balmoral Estates is a beautiful and family-oriented gated community situated in Doral. This master-planned community of mid-size single family homes is very close-knit and full of activity and neighborhood camaraderie. Doral real estate in Balmoral Estates is different in a way that property is thought of more as “home” than simply property or an investment. The residents love this neighborhood which is very evident in that there are typically only a handful of homes for sale at any given time. Balmoral is an ideal neighborhood for families relocating to the area as well as part time residents who want the added security of having a second home in a gated community. 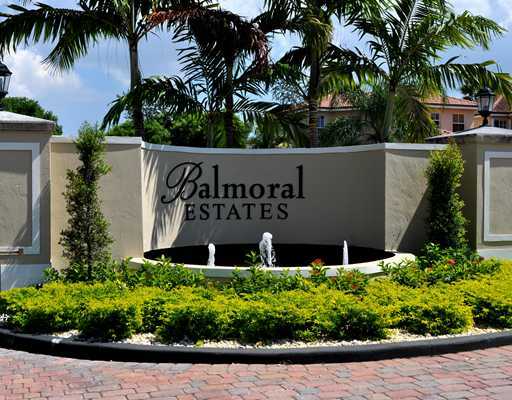 Located in the heart of Doral, Balmoral Estates is perfectly situated within a short distance to everything in Doral. Located in the heart of the city, Balmoral Estates is in the ideal part of the city that is close to everything. Not only is the Florida Turnpike within a two or three minute drive, there are several golf courses including those at the Doral Golf Resort as well as the excellent shopping at Dolphin Mall and Miami International Mall all less than 10 minutes away. Because of Doral’s location close to all major transportation hubs in Miami-Dade County, it is becoming more popular to international businesses with facilities in the United States. Balmoral Estates offers excellent amenities that make Doral real estate more appealing to area residents. Some of these amenities include a beautiful club house and pool that face the community lake around which the neighborhood is centered. Other highlights include elegant street lighting that follows the tree lined streets and quaint sidewalks as well as perfectly manicured landscaping with a tropical influence. Inside homes, home owners enjoy gourmet-style kitchens with stainless steel appliances, granite counter tops, and lots of cabinet space; large master suites with walk-in closets; spacious baths with marble counter tops and designer fixtures; spacious lawns with tropical landscaping; and, roomy garages. Some homes have private pools with delightful outdoor living areas. Because Doral has become such a draw for the professional sector of the area’s population, Doral real estate has experienced a constant increase in interest since its incorporation just over 10 years ago. Because Balmoral Estates is gated and has such a family-oriented draw, its residents tend to move into the community and stay here. Balmoral real estate features single family homes with values between the mid to upper-$300s and the lower-$600s. Currently, the handful of homes listed for sale has list prices falling from the low to upper-$400s. Home sizes fall within almost 2,000 and just under 3,300 square feet. In the past six months, six homes have sold with sale prices ranging from the mid-$300s to mid-$400s. For the most part, homes sell fairly quickly in Balmoral because of its appeal, location and amenities. Other important expenses associated with owning a home in this community include property taxes ranging between $4,000 and $5,000 as well as monthly HOA fees that fall anywhere between $150 and $250. For investors of rental property, Balmoral real estate is a solid investment. Balmoral rentals have month rental rates typically falling between $2,500 and about $3,500. This is a popular neighborhood for those who head south for the winter because of its location in Doral as well as ease of getting here. Balmoral Estates is another great Doral neighborhood that offers some of the best opportunities for owning Doral real estate. Those who live here love it and end up staying in the community. With only a small number of homes for sale at any given point in time, it is a statement of how much they love their homes and their neighborhood. Its location cannot be beaten just like the excellent quality and amenities of each home.